Accomplished program management expert has overseen hundreds of multifaceted infrastructure projects throughout the region. Lona Hankins joined HNTB as project director in New Orleans, as part of the firm’s Gulf Coast District. Her proven track record, comprehensive knowledge and relationships in the Gulf Coast are invaluable to agencies and municipalities seeking to deliver the region’s most complex infrastructure programs. Lona Hankins joined HNTB Corporation as project director in New Orleans, as part of the firm’s Gulf Coast District. Hankins is responsible for delivering large-scale, complex infrastructure programs using her extensive industry network; comprehensive understanding of federal agencies including securing funding and associated regulations; program controls and project management. Hankins has 30 years of industry experience spanning engineering, program management and leading capital improvement projects. In a previous position, she was responsible for executing one of the largest post-Hurricane Katrina recovery programs which included more than 240 projects with a construction value in excess of $2 billion. While in the private sector, she managed worked between Baton Rouge and New Orleans on design, procurement and installation of numerous business and environmental projects ranging between $25 million and $200 million. 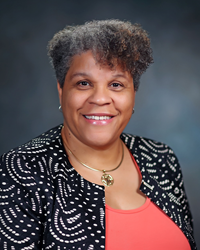 Prior to joining HNTB, Hankins served as executive director, capital projects for the Recovery School District, a statewide school district managed by the Louisiana Department of Education. Additionally, Hankins has served in engineering and project management roles for British Petroleum and ConocoPhillips, respectively. Hankins earned a Bachelor of Science in mechanical engineering from Southern University and Agricultural and Mechanical College. Among HNTB’s many signature projects throughout the Gulf Coast, the firm has provided Program Management services for the highly successful New Orleans “Submerged Roads” and “Paths to Progress” programs in the aftermath of hurricanes Katrina/Rita; served as construction engineer and developed a first-ever vertical-lateral lift for the Huey P. Long Bridge widening in New Orleans; served as design engineer for the reconstruction of the U.S. 90 Bridge at Bay St. Louis and is the owner’s representative for the Belle Chasse Bridge and Tunnel R eplacement project, Louisiana’s first P3 procurement.